Audio of the Antarctic ice-breaking was provided by the National Science Foundation. This week, workers at Mare Island, near Vallejo, plan to put the nation’s most capable icebreaker back into service after months of refurbishing. That's the good news. The bad news is that the Coast Guard is struggling to maintain an aging -- and shrinking -- U.S. icebreaker fleet at a time when polar science is more important than ever. Without capable icebreakers, getting into the field to do polar science is a dicey proposition. 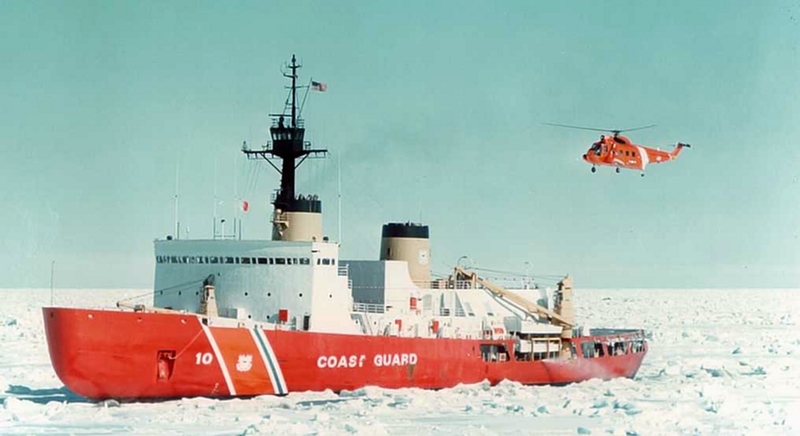 Currently the USCGC Polar Star is the only U.S. ship with enough brawn to lead the annual "break-in" to McMurdo Station, the American-operated research hub of Antarctica. It can take a week to break through the pack ice but the annual resupply mission is crucial to keeping the remote facility going. "If you can imagine the earthquake we had recently, and experiencing that every minute for a few hours as we crush through the ice, it’s pretty violent," says Captain Matt Walker, who took command of the Polar Star in July. Standing on the floor of the Mare Island dry dock, gazing up at 10,000 tons of hull, it's easy to see why this ship gets the call for McMurdo duty. Her engines can deliver 25,000 horsepower to each of three enormous propellers, 18 feet in diameter. It's like having a daisy chain of diesel locomotives on board. Polar Star can break through ice six feet thick without stopping and can safely “back and ram” through ice as much as 21 feet thick. But paradoxically, those attributes have put a crimp in her science mission. The ship is designed to accommodate a team of more than 20 scientists but the onboard laboratory is essentially a storeroom these days. "Now that we’re the only heavy icebreaker that can go to Antarctica for the U.S., the science has curtailed tremendously," Walker laments, "because we are too busy breaking in the channel to let the logistics ships into McMurdo." The Coast Guard has one lighter-duty icebreaker that patrols Arctic waters, and the National Science Foundation has a smaller research icebreaker. That’s it. And Polar Star is showing her age. Commissioned in 1976, the ship was designed for 30 years of service. Her sister ship, Polar Sea, has been deactivated since 2010, and some of her vital parts cannibalized to keep Polar Star going. Recent refurbishing is calculated to add only about seven years to the Polar Star's working life. Few in maritime or polar science circles think that will suffice. "I think the answer clearly is, 'No,'” says Ted Scambos, lead scientist at the National Snow and Ice Data Center in Boulder, Colorado. He’s logged months aboard icebreakers, doing research. Global warming, he says, means we need icebreakers more than ever. "Both poles are areas of the world that are changing rapidly," he says. "They’re responding a lot to global warming and that has lots of effects with ocean circulation and air circulation and weather and climate -- and biology." Icebreakers are also vital for search-and-rescue missions and to support shipping and other U.S. interests at the literal ends of the Earth. "We need a new heavy-duty icebreaker and we need it now," says Congressman John Garamendi, the ranking Democrat on a House subcommittee that oversees the Coast Guard and maritime affairs. He says there’s a strategic component to this, that’s being ignored. "Right now Russia is way, way ahead of us in dealing with the Arctic," Garamendi says. "In fact, if we need an icebreaker in the Arctic, we often have to rent a Russian icebreaker." According to a count compiled for a congressional report, Russia has 40 icebreakers of all types, including six nuclear-powered ships operational as of July, with nearly a dozen more planned or under construction. Last January, Polar Star was dispatched to rescue Russian and Chinese ships, both stuck in heavy ice off Antarctica. (Both ships were later freed by changing weather conditions.) But Congress has refused to provide funding for even one new icebreaker, which would cost a billion dollars. "It'll take a couple of years, maybe 3-4-5 years to build this thing," says Garamendi. "It may take even longer for Congress to wake up and realize that you cannot run the biggest, most important economy in the world on the cheap." Garamendi says money may have to be corralled from several budgets: the Coast Guard, Navy and National Science Foundation, all of which would benefit from a new icebreaker. Back aboard Polar Star, Captain Walker says there’s another wake-up call coming: That the science supported by these ships might be the biggest strategic issue of all. 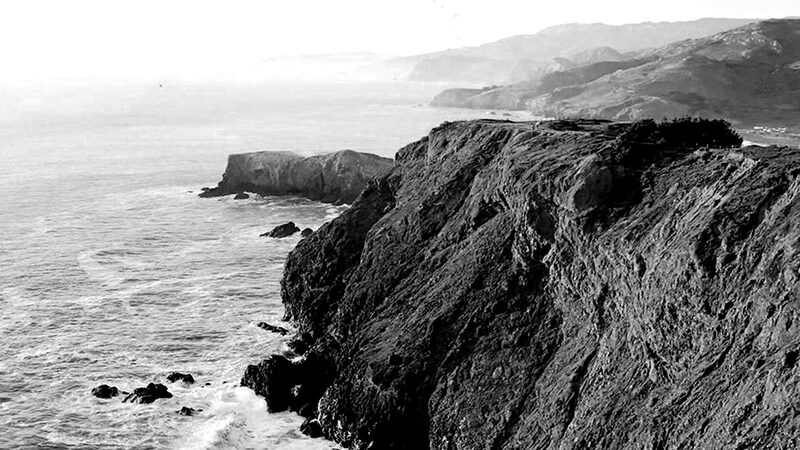 "By us going down there," he says, "I like to think that we are allowing those scientists to conduct that work and that research that just might save the planet."